To display photos of this wetland, upload them to our Flickr group and tag them with OKWMaudeRoxby. Maude-Roxby Mash is a wetland on the shoreline of Okanagan lake. This wetland is able to store and absorb excess water when the lake rises in the spring. Due to this quality it is one of the first lines of defense against flooding along the shoreline. The wetland also provides home to many species that live in the marsh and a feeding area to migrating birds. Also the plants in the marsh help to filter pollutants in the water. 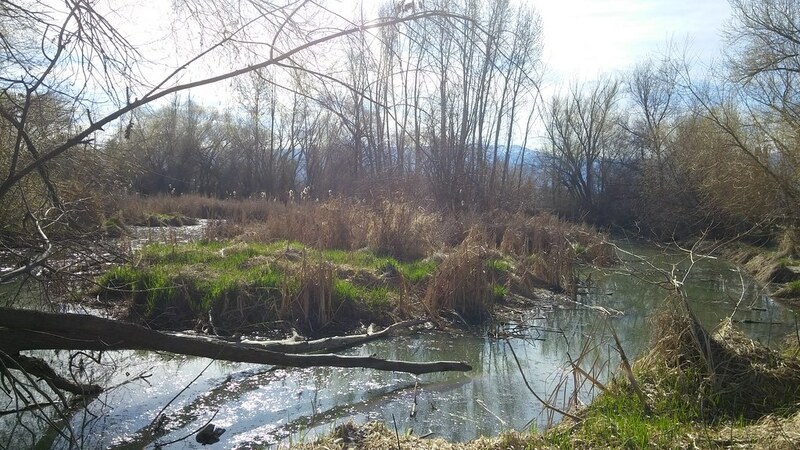 Maude-Roxby Mash is a wetland on the shoreline of Okanagan lake. This wetland is able to store and absorb excess water when the lake rises in the spring. Due to this quality it is one of the first lines of defense against flooding along the shoreline. The wetland also provides home to many species that live in the marsh and a feeding area to migrating birds.Also the plants in the marsh help to filter pollutants in the water.